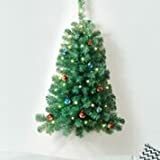 This cool new Against The Wall Christmas Tree is a festive, space-saving solution for homes with smaller living spaces or just those who don't want the Christmas tree to take up an entire room. 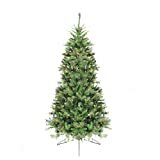 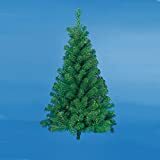 The flat back design of this precisely balanced half Christmas tree allows it to rest up against a wall with ease, while still maintaining a full-sized tree's width and sense of depth. 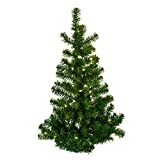 It features 946 realistic tips, 550 pre-strung clear white lights (multi-color also available), and an easy to assemble design. 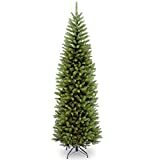 If placing the tree in the corner is more your thing, then check out the equally cool Corner Christmas Tree.